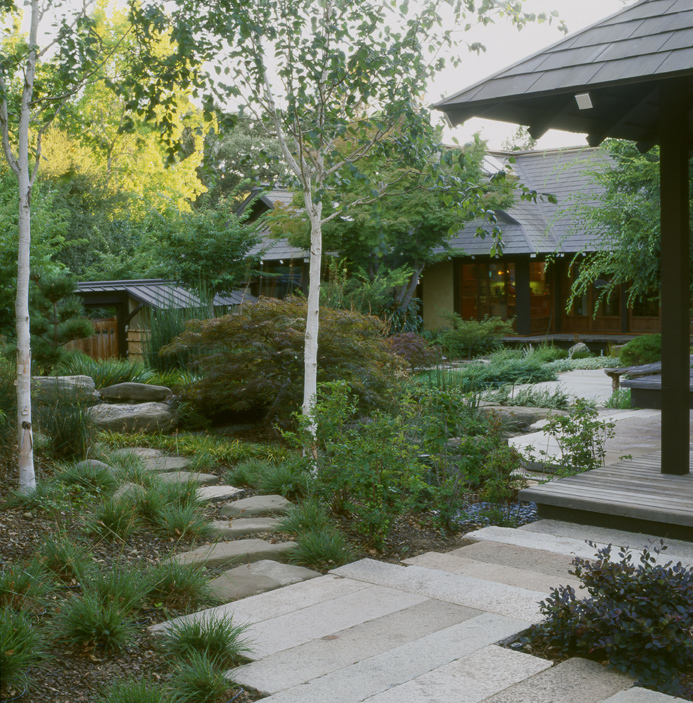 The owners of this 1950’s Asian influenced ranch home in Portola Valley sought to enhance its Japanese authenticity. Finding inspiration in the work of sculptor Isamu Noguchi, QuarryHouse collaborated with Bob Peterson of Peterson Architect and Willie Lang of Omi Lang Landscape Architect on the project. Following the Japanese aesthetic, the garden was highlighted with aged materials which suggested an ancient landscape including an antique Chinese stone obelisk. The stone masons sourced repurposed pavers from the Trinity River along with antique Chinese limestone. An ornamental koi pond completes the serene landscape.